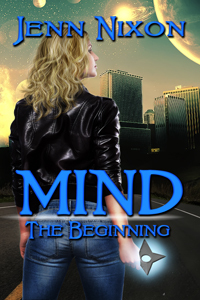 Today, we have a great excerpt from Jenn Nixon's Mind: The Beginning. I've read several of her romantic suspense stories, so I'm excited for her science fiction novel. After Dina Ranger loses telepathic contact with her brother, she breaks into his apartment and stumbles onto a special government unit responsible for monitoring the psychic population. She’s offered a job where she can use her psionic gifts to help people. Stranded on earth over a hundred years ago, Liam of Shria is searching for a metal needed to repair his ship when he finds Dina, a telepathic investigator, and narrowly saves her from an exploding alien pod. Together, they uncover a plot to rebuild an ancient weapon and discover the truth behind Dina’s abilities while unlocking dangerous secrets about the alien presence on earth. Can they stop a powerful weapon meant to enslave the human race? Can their relationship survive the secrets of the past or will it tear them apart? 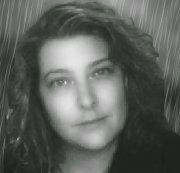 Jenn's also offering an e-book of her romantic suspense novel Lucky's Charm to one lucky winner! All you have to do is comment to be entered in to win. Congrats to Jenn. This sounds like a great story. Thank you for having me Cherie!! Thank you Jaybird & Natalie, good luck in the giveaway!! Jenn's book sounds fascinating. Telepathic investigator has me all shivering in anticipation. Thank you Rachna, it was a blast to write! Are you signing copies at NJRW conference? Maybe I should wait until then to pick up my copy. Congrats on the release. I wish you a ton of sales. Probably won't make it to NJRW this year, hope to make it next year! Awesome excerpt! Congratulations to Jenn! Thank you Laurie & Christine, appreciate the comments! Thank you Misha, good luck in the contest! Hi Heather, thanks for the sweet comment, good luck! This looks amazing. Congrats to Jenn. Very interesting. I loved how in the excerpt she just waves her hand to open the curtains.